2018 was the year witnessing the outstanding development of the new payment method via mPOS device. There was 27,500 places accepting payment via mPOS, posting 99 per cent year-on-year increase, according to the Viet Nam Bank Card Association (VNBA). However, total payment transactions via QR were only VND70 billion. In details, each QR payment point took only VND1.2 million, calculated to be less than VND100,000 per month. The year 2018 also witnessed the development of e-commerce, making an important contribution to the growth of Online e-Com payment segment, amounting to nearly VND48 trillion (over US$2 billion). 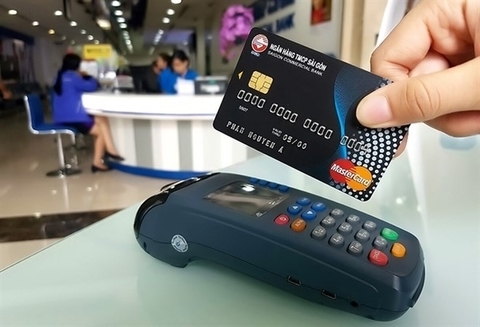 A representative of mPOS Viet Nam which provides mPOS solutions for the banks told Viet Nam News that mPOS expected to expand its number of devices used in the market to 80,000 nationwide in 2019, in all business areas that could contribute to the society of non-cash payment.